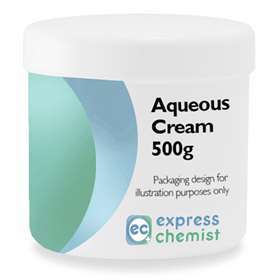 Aqueous cream is used as a cleansing agent for your skin, also as an emollient cream which helps to soothe, soften and moisturise dry skin conditions such as eczema and dermatitis. Use as a skin cleanser instead of soap. Apply to the effected areas of skin as required. Apply in the direction of hair growth. Please be advised brands may vary.